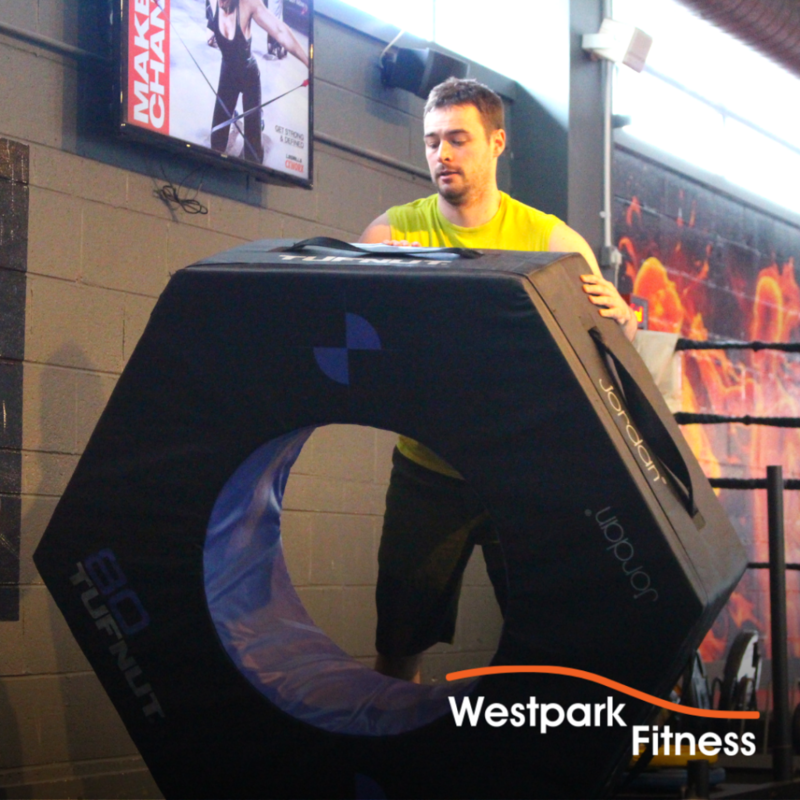 This week we bring you instructions on how to correctly and safely complete the tyre flip exercise using the foam tyres that can be found in the Westpark Fitness gym. While this may seem daunting at first, it is in fact a great compound movement to work towards achieving. A compound movement refers to an exercise that works multiple parts and muscles of your body at once (whereas an isolation movement only works a single part at once). Note that this exercise requires enough space all around you on the gym floor to accommodate for the movement of the tyre. To begin, both your feet and hips should be shoulder-width apart while you push your hips out backwards. At the same time, make sure to brace your core (imagine you were about to be punched in the stomach) and to keep your back flat. Use your hands to grip the underside of the tyre as you mentally prepare for the movement of the exercise. You will need to bring a lot of power to this movement as you drive upwards through your hips to lift the tyre off the floor. When the tyre is almost standing up straight on the floor, switch to a pushing motion so that the tyre can be pushed down onto the ground in front of you (the final part of the flipping movement). 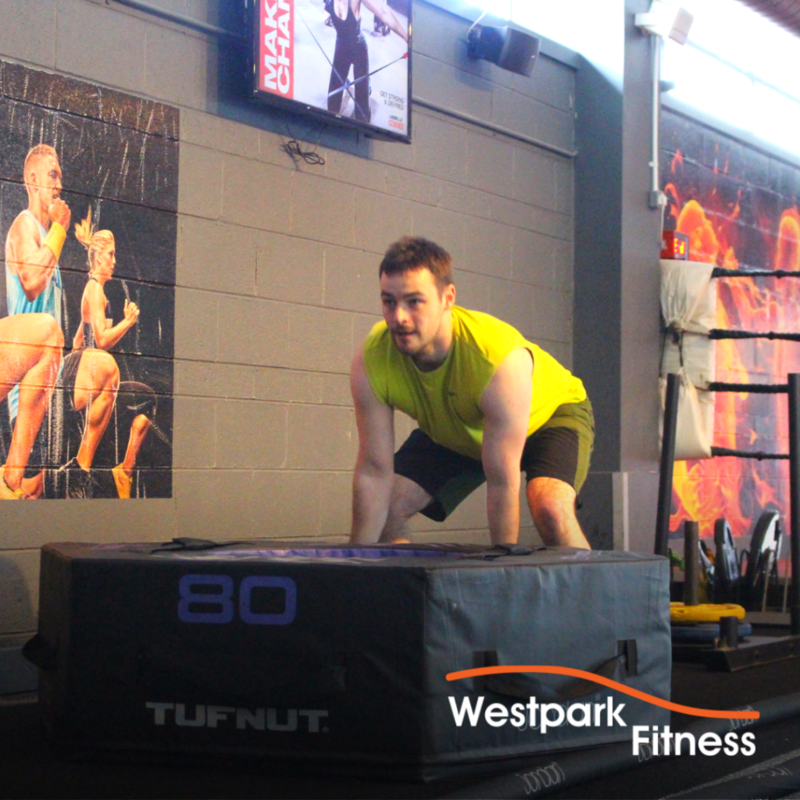 The main lifting part of the tyre flip exercise works your back, glute and leg muscles as they support the weight of the tyre and engage and exert during the lifting phase. After the exercise has been completed, you will have also engaged and exerted your abdominal, arm and chest muscles (especially during the pushing part of the exercise). Do of course ask any of our friendly fitness team if you would like any assistance or even a demonstration of this exercise and they will be happy to help.